On the recent long weekend I spent a few days camping in Hattah Kulkyne National Park. 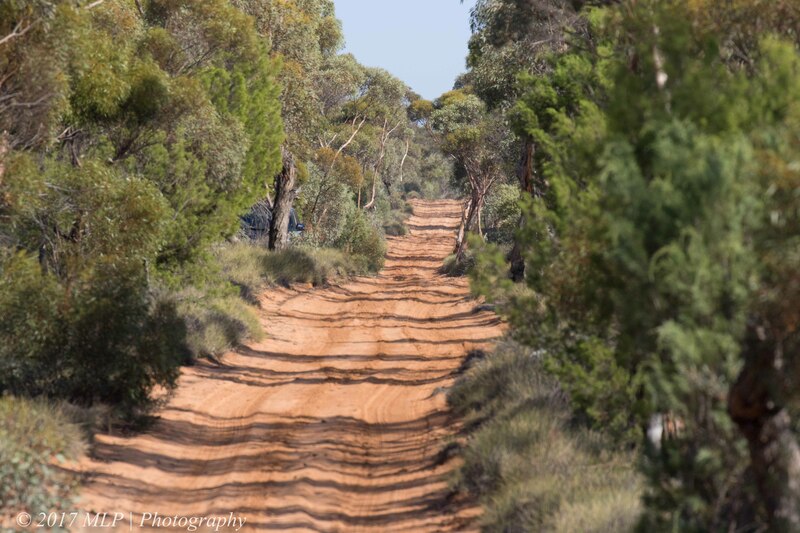 It is in the Mallee region of North Western Victoria about 500kms (5.5 hrs) drive from Melbourne. 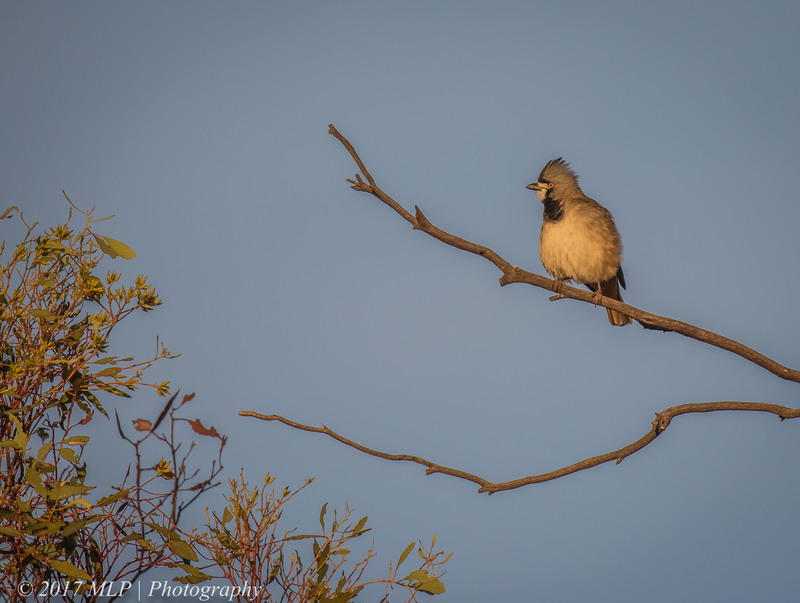 I spent a few days looking for various birds that are usually only found in the area or further inland. I had a pretty successful weekend, finding 9 lifers, 2 of which are below. I thoroughly enjoyed my trip and found the area visually quite stunning. I think I chose a good time of year to go as the temperature can get into the high 40’s C during Summer. 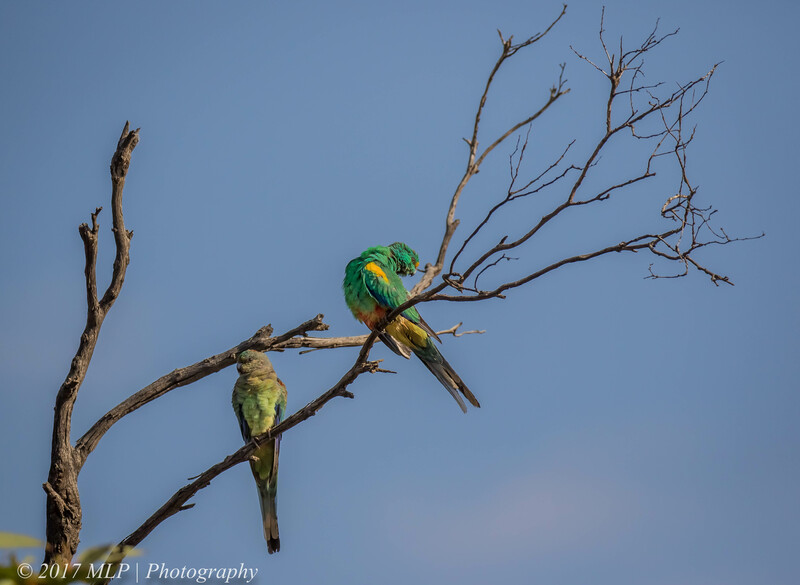 As well as the main lakes where the two campgrounds are located, there are a few tracks where several highly sought after birds can usually be found – Nowingi and Konardin Tracks. Mallee Dragon, Nowingi Track. The mallee has the highest concentration of lizard species in Victoria. 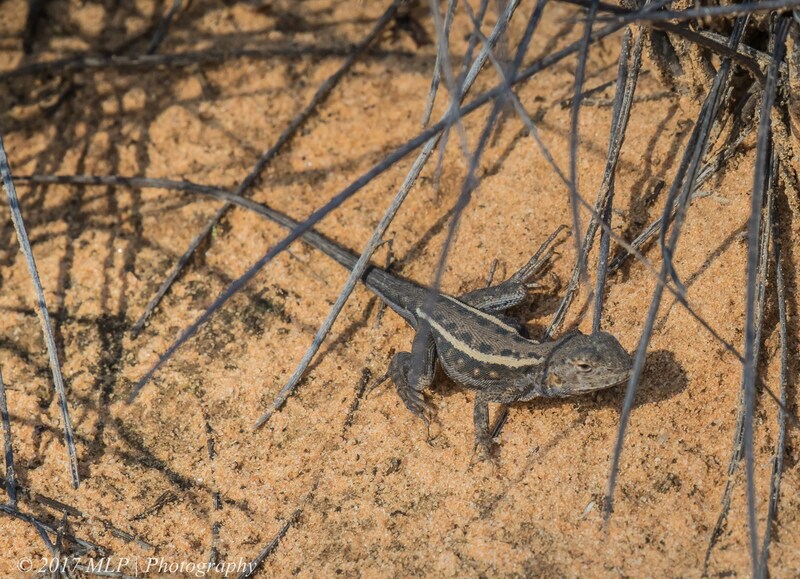 I saw quite a few of these dragons amongst the spinifex. 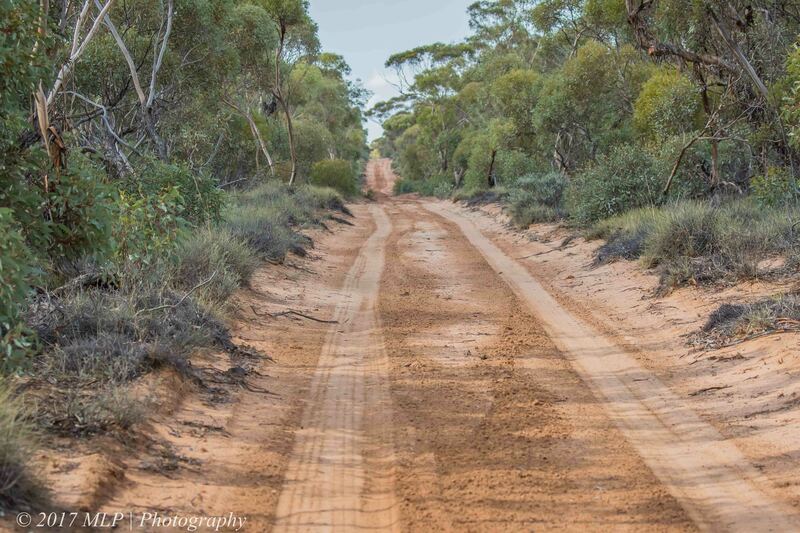 Konardin Track, Hattah Kulkyne National Park – my car is tucked in the bush on the left – once I found a likely spot or heard some interesting sounds I would pull over and explore into the mallee scrub and small trees and further down the track. 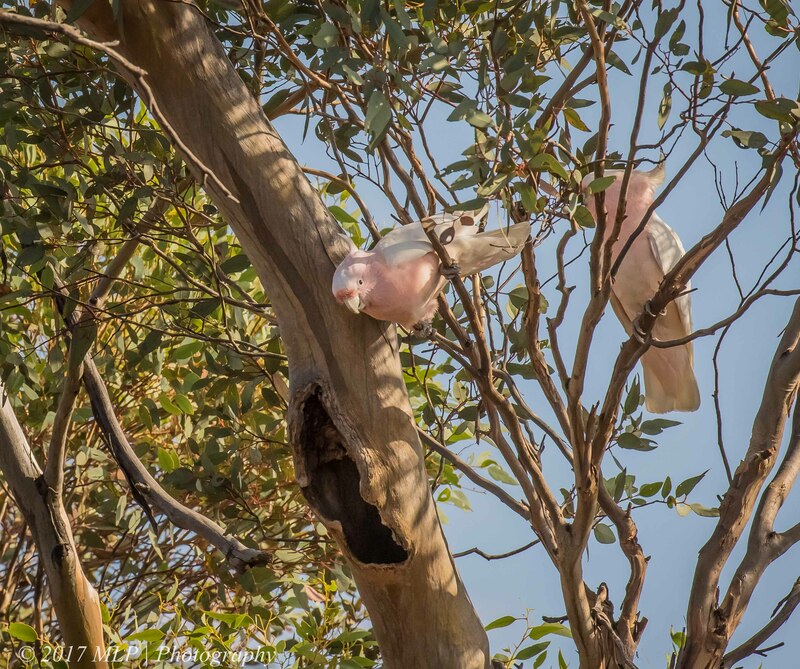 Lifer 340: Major Mitchell Cockatoos, Konardin Track – inspecting a potential nest hole. 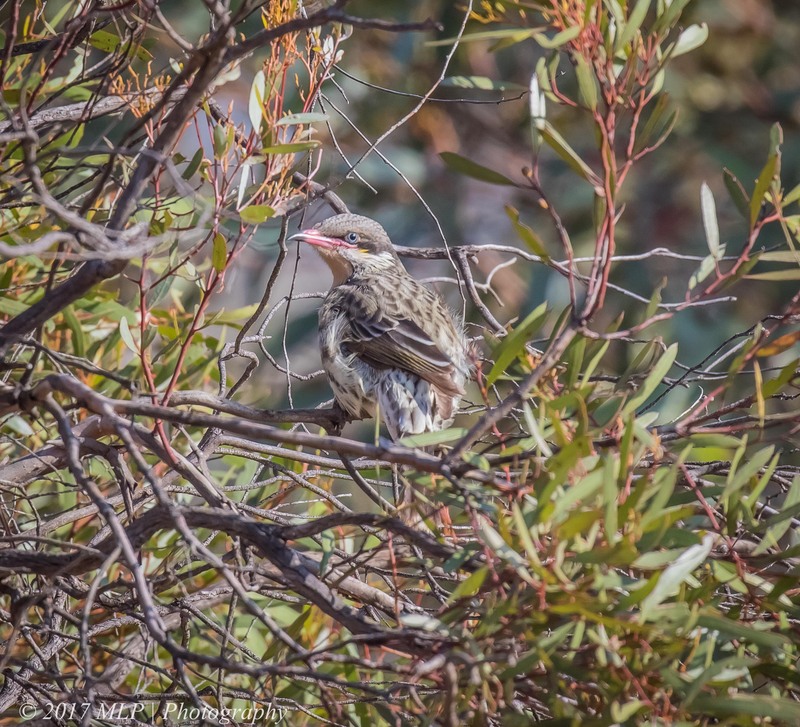 This entry was posted in Birds, Victoria and tagged Australian Birds, Bird Photography, Crested Bellbird, Hattah Kulkyne National Park, Konardin Track, Major Mitchell Cockatoos, Mallee, Mallee Dragon, Mulga Parrots, Nature Photography, Nowingi Track, Spiny-cheeked Honeyeater, Victoria. Bookmark the permalink.